There's more to life than meets the eye. Beauty, permanence, vulnerability. These are only a few concepts that the installations from the recently concluded Ateneo Art Awards seek to discuss. 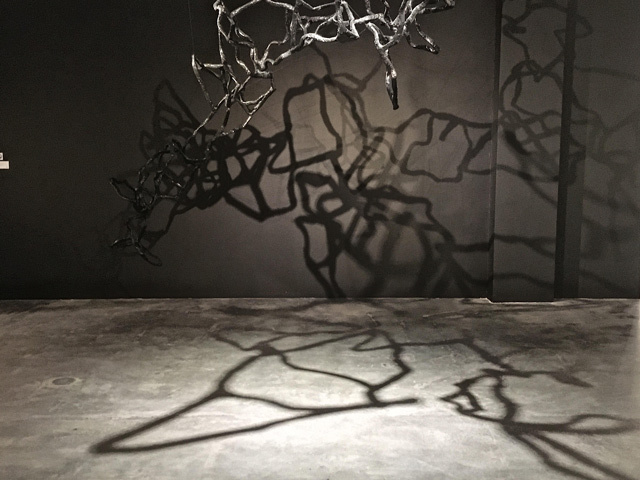 Showing now at the Ateneo Art Gallery, these intriguing and captivating artworks will force you to confront seemingly abstract ideas that are actually the driving forces to how you live your life. Below, we highlight some of our favorite installations and invite you to interrogate life with us. Johanna Helmuth's Makeshift interrogates the temporality of being due to the inevitability of change, the notion that what is here now will be gone soon enough, swept away for something different. She wonderfully grounds her fascination for the temporary to the struggle of the everyday Filipino to make ends meet. 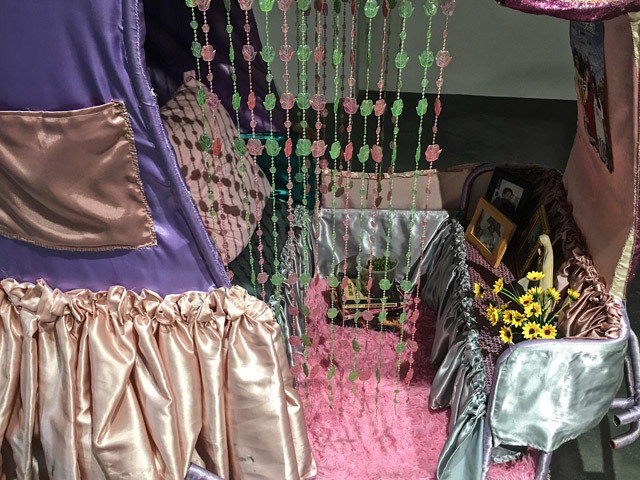 The centerpiece to her exhibit is a pedicab decked in pink and purple, almost reminiscent of the Barbie Dollhouses of our youth. 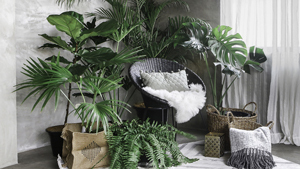 Decorated with pillows, framed photographs, flowers, and a religious relic, it looks like your typical Filipino home, lived in, worn out with love and laughter, an utterly permanent fixture. Only the home is built on a pedicab, a vehicle always on the move to someplace else, never really with any permanent dwelling place. 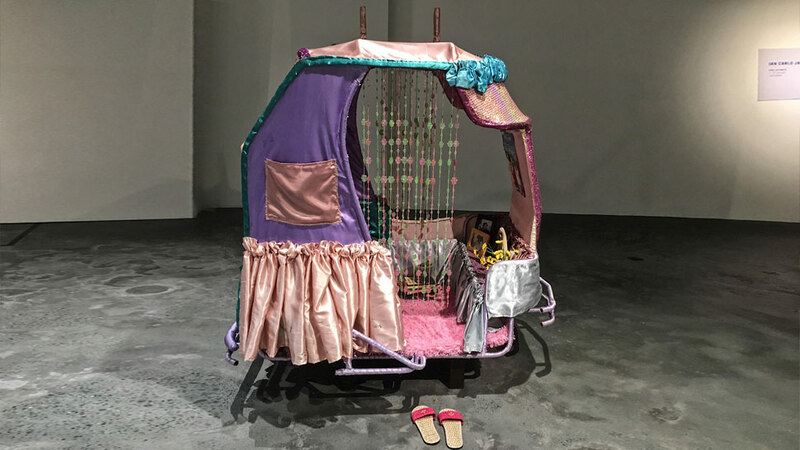 This idea stems from Joanna's childhood memories seeing the drivers around town use their pedicab as a means of livelihood, and a place to sleep in as well. This very image demonstrates how humans are drawn to temporary measures to survive the uncertainty of life. This may apply to anything. A family unable to maintain a proper home because they don't have the means for it, or they're constantly being relocated somewhere else. 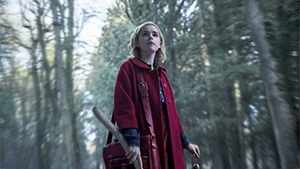 A young millennial hopping from one job to another when the last has failed to serve her ever-changing wants and needs. The irony of the installation then poses a few important questions: Are then all my choices only meant for serving fleeting things? For pleasing temporary people? How do I build something permanent? Something that will matter enough to stay a lifetime. A plastic-wrapped construction hangs from the ceiling like an ancient tree branch ominously casting shadows on a wall. This is the haunting yet captivating image that grabs your attention when you lay eyes on Mars Bugaoan's exhibit titled Becoming. Mars transforms trash bound for the landfill into art, all at once intriguing and haunting. 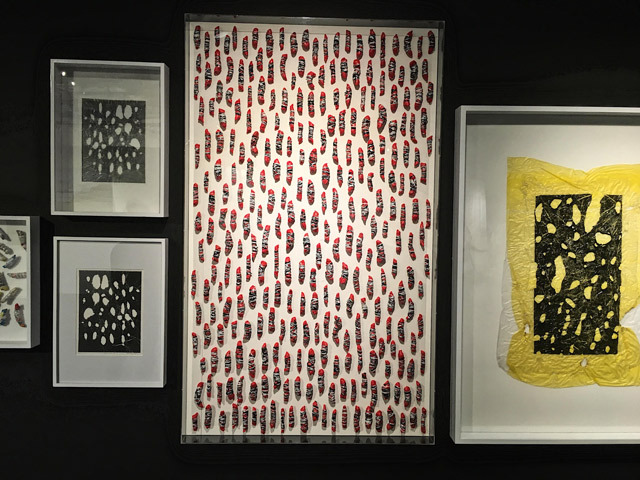 Drawing from a dark period in the artist's life, distressed, burned, and twisted, he then turned throwaway plastic bags into art, into things beautiful and indicative of something greater than what they're known for. It's essentially a demonstration of the human's capability, simple and limited as we may seem, to go beyond, past beauty, past pain, and past our own selves even, and allow extensions of ourselves to form a bigger picture. Just as Makeshift illustrates how all things are temporary, Becoming concludes that all this is, in fact, made for more. 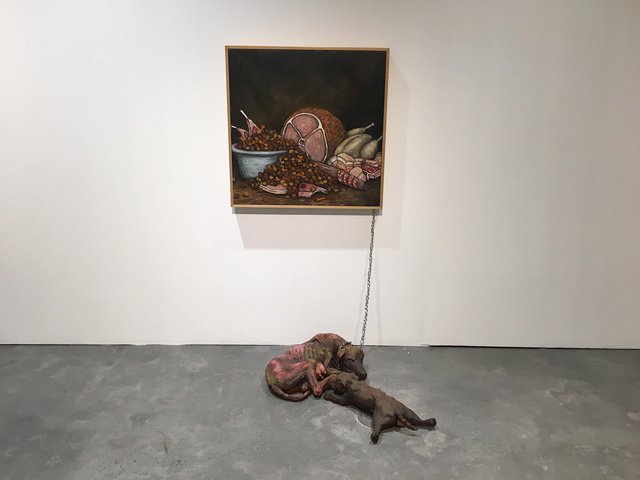 It's a grueling sight: bone-thin and beaten dogs chained to an art piece. 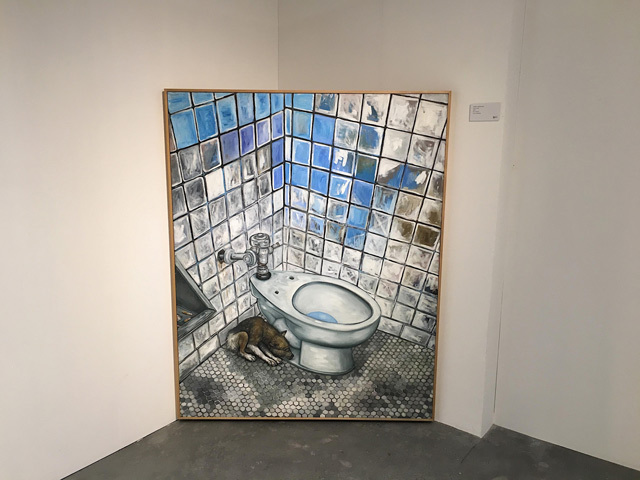 You might whimper in worry or double-over in horror, but whatever your reaction, one thing's for sure, artist Robert Langenegger's exhibit is brutally honest. A play on the phrase 'Only God can judge me', Robert's work talks of vulnerability, how anything put out in the public sphere is a risk in itself because judgment is impossible to avoid. Man's bestfriend is the central image in all of Robert's paintings. He believes that only dogs hold the true rights to judge humans because their simple nature frees them from creating or harboring any pre-conceived notions, or biases. They look at the world as a vast ocean of play, free and honest in their movements and interactions with the life around them. Perhaps this is then a call to compassion, to attempting to understand before filing judgment on another. We're to free ourselves of any predisposition, because if we're unable to get rid of our harmful, degrading thoughts on one another, then maybe dogs are better at being human than humans are. The exhibit runs until November 4, 2018 at the Ateneo Art Gallery, 3F Arts Wing of the new Arete building.